Hey there. It's been awhile since we've received a winner's photo. Each winner is given the option to provide a picture for a post and it's made clear that it's completely optional. That's why when I do receive one, I want to acknowledge the winner for sending one in and giving them a shout out. So please join me in congratulating Johnna R! 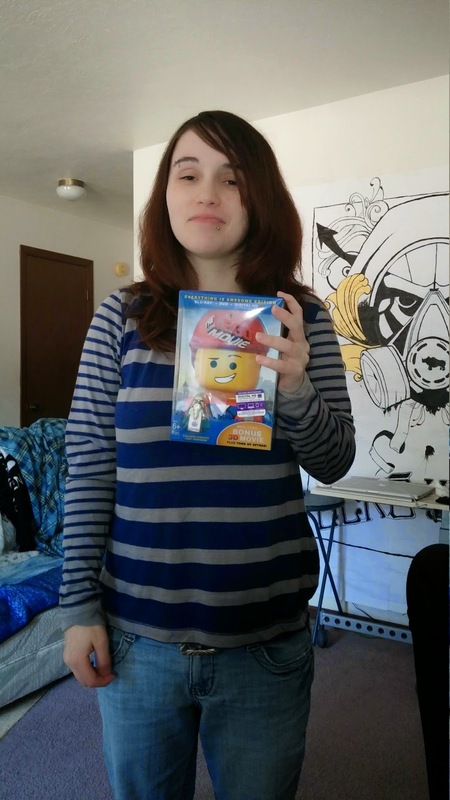 Congrats on winning The LEGO Movie Blu Ray Combo Pack and hope you'll stick around for future giveaways! Thank you all for entering. If you didn't win, better luck next time and hope to see you guys come back for all upcoming giveaways! Later!